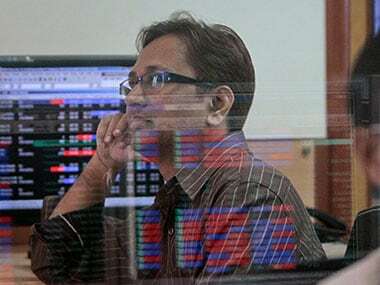 Mumbai: Fortunes soured for stocks for the seventh day in a row as the Sensex on Wednesday plunged a sharp 440 points to close at an over three-month low, triggered by a weakening rupee on concerns that foreign capital will move out sooner than later after Fed Chair Janet Yellen's comments. Yellen, in a speech, said the US Federal Reserve should stick to gradual rate hikes despite the uncertainty about the inflation trajectory. This was enough for foreign investors to hit the exit button, looking for instruments that yield better returns. The rupee took a hammering, sinking to over a six-month low of 65.75 against the dollar during the day. The lingering Korean stand-off dealt a further blow after US President Donald Trump dialled up his threats saying America is "totally prepared" for a "military option" on North Korea, warning that would be "devastating". Updates of military action on the eastern border hastened the market's fall, which has been on a slippery slope ahead of the derivatives expiry tomorrow. 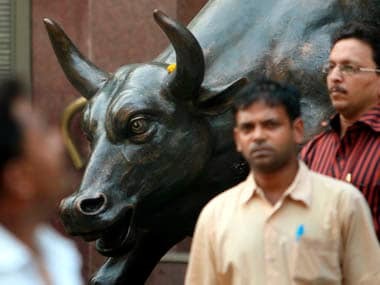 Clearly, it was downhill drive for the BSE benchmark right in the beginning, which settled lower by 439.95 points, or 1.39 percent, at 31,159.81. This is the weakest closing since 30 June when the gauge had settled at 30,921.61. It had lost 824 points in the previous six sessions. Mood was downcast at the 50-share NSE Nifty too, which after regaining the key 9,900-mark at one stage closed down 135.75 points, or 1.38 percent, at 9,735.75 -- a level last seen on August 11 when it closed at 9,710.80. 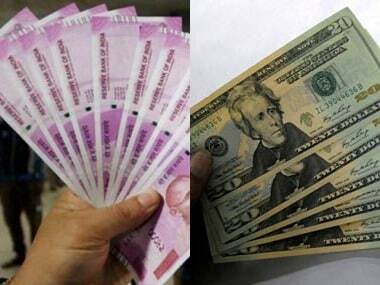 "Market extended losses while the rupee sank to a 6-month low on continued outflow of foreign funds. 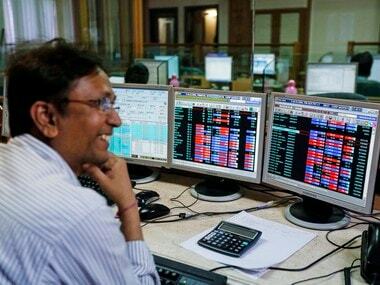 Additionally, slowdown in GST tax collection dented sentiment and investors expected that the GST-led disruption is likely to extend and will hurt earnings for the next few quarters," said Vinod Nair, Head of Research, Geojit Financial Services Ltd.
Investors' wealth as measured by market capitalisation of BSE listed companies took a big knock of Rs 1,79,524 crore, which read Rs 1,30,55,056 crore. 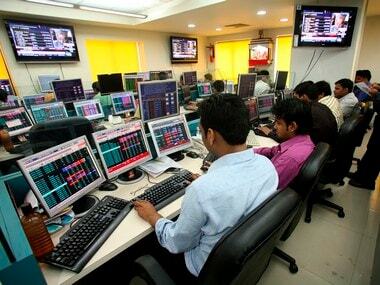 From the Sensex bloc, Adani Ports barrelled down 4.85 percent, followed by SBI 2.89 percent. The overall losses swelled because of weakness in heavyweight RIL, Dr Reddy's, Sun Pharma and ICICI Bank. TCS emerged as the big gainer, up 0.62 percent, while Coal India rose too. Stocks of Divi's Lab crashed 11.60 percent to Rs 850.15 after the company said it has received six new observations from the US Food and Drug Administration (USFDA) after inspection of its Visakhapatnam unit. Selling was maximum in the BSE realty index, down 2.66 percent. Healthcare, capital goods and power stocks also kept low. As has been the case so far, foreign portfolio investors (FPIs) stayed reluctant towards Indian shares, who net sold shares worth Rs 1,915.54 crore. Domestic institutional investors (DIIs) remained true to their form, picking up shares worth a net Rs 1,537.10 crore yesterday, according to provisional data. Overseas, most Asian indices ended mixed. Participants waited for key events, including the unveiling of Trump's tax reforms and the release of Japanese economic data later in the week. European shares moved higher.